Thinking of planting corn in your garden this summer? 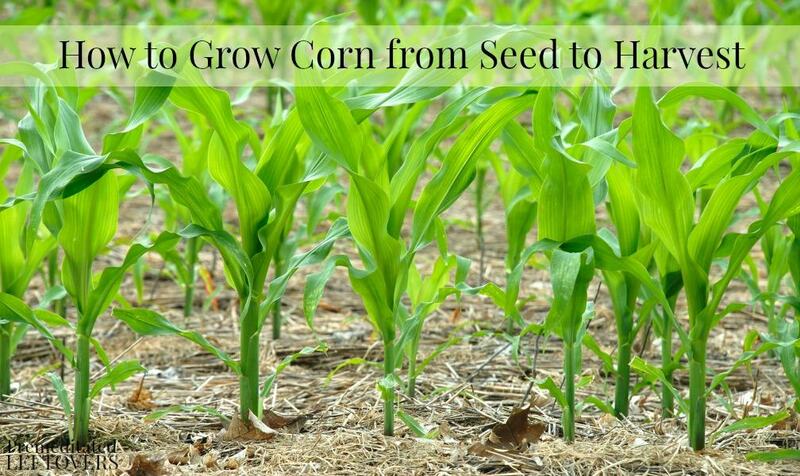 Here is a guide on how to grow corn from seed to harvest. Do you love sweet corn? It seems to be a summer staple and one that is enjoyed by every member of the family. If you want to have fresh sweet corn at your fingertips, why not try growing it? 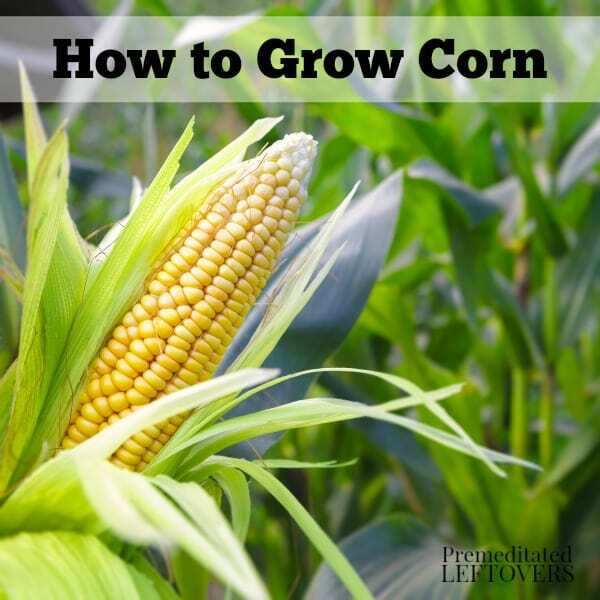 Take a look below for some helpful tips on how to grow corn in your garden. 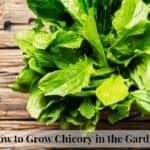 You don’t need a ton of land or even a farmer’s knowledge to grow your own; you just need a little patience and these helpful tips. 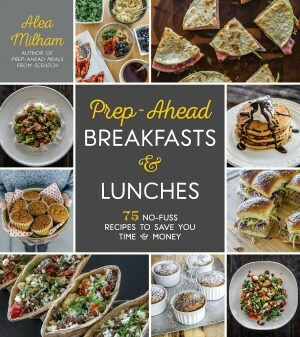 Here is how you can get started. Choose your organic non-GMO corn seeds based on your preferred corn type: golden, yellow, white, or bi-color corn. Before you begin, make sure the outdoor temperature is staying a constant 60 degrees or higher. It is not advised that you start your corn seeds indoors as transplanting can be tricky and cause damage to the plant. 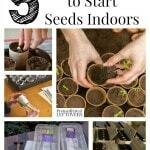 Instead, wait for warm temperatures and plant seeds directly into the ground. Plant your corn seeds half an inch deep in soil that is nutrient rich and drains well. Corn plants love heat, so be sure they have at least 6 hours of direct sunlight a day. Plant the seeds one foot apart and make sure your rows are about three feet apart. If you would like fresh corn all summer long, don’t plant all of your seeds at once. Instead, plant a row and then wait two weeks before planting another. This way, you can harvest all season long instead of all at once. If you are a container gardener, don’t be afraid to try planting corn. Since the roots are shallow, the corn may fare well in a pot or container. You won’t want more than one stalk growing per container, however. Corn has shallow roots and will absorb water easily. Water each week making sure you are providing at least 1-2 inches. Mulch around the base of the plant is always helpful for keeping moisture locked in. 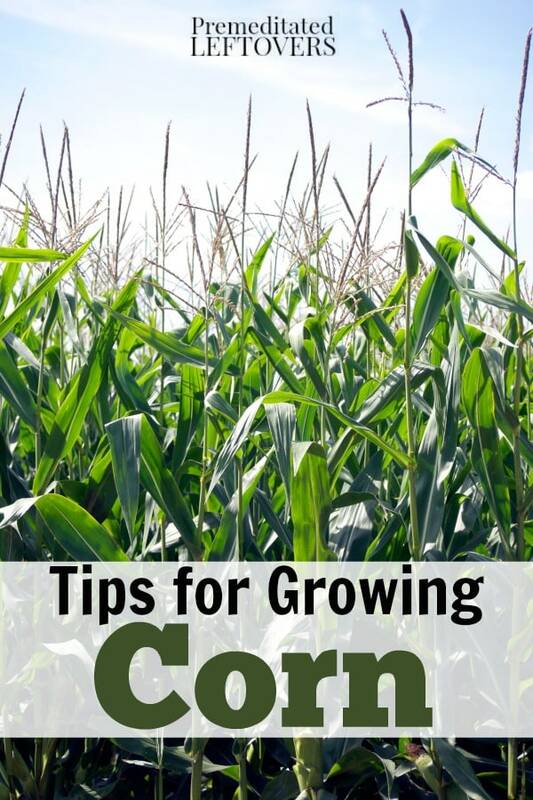 Corn will thrive if you feed it fertilizer, which can be done twice during the growing season. Try to fertilize once after you have planted and again in three weeks. Corn tends to attract critters who love to nibble on it. Raccoons especially can be a problem. 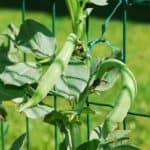 It is wise to put a fence around your garden if you will be growing corn, as it can help keep raccoons and other four-legged critters out. Birds also love to come and dine on corn, so a scarecrow or flashy object such as a hanging pie tin can help keep them away. 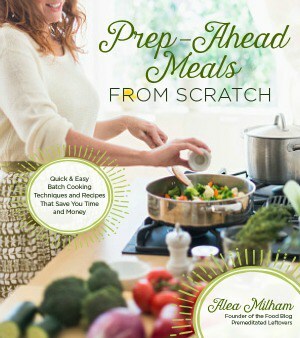 A food safe repellant can be used to deter any bugs that may be a problem. You can also pick them off by hand as you see them. The silk of the ear of corn can tell you when it is time to harvest. It will be silky yellow/white with no sign of green. You can also peel back a small portion of the ear and feel the kernel which should be firm but puncture easily when touched by your nail. A white liquid may leak out as well. To remove the ear of corn, just twist it until it breaks free. It is now ready to be enjoyed! Give these easy tips for planting corn in your garden a try. 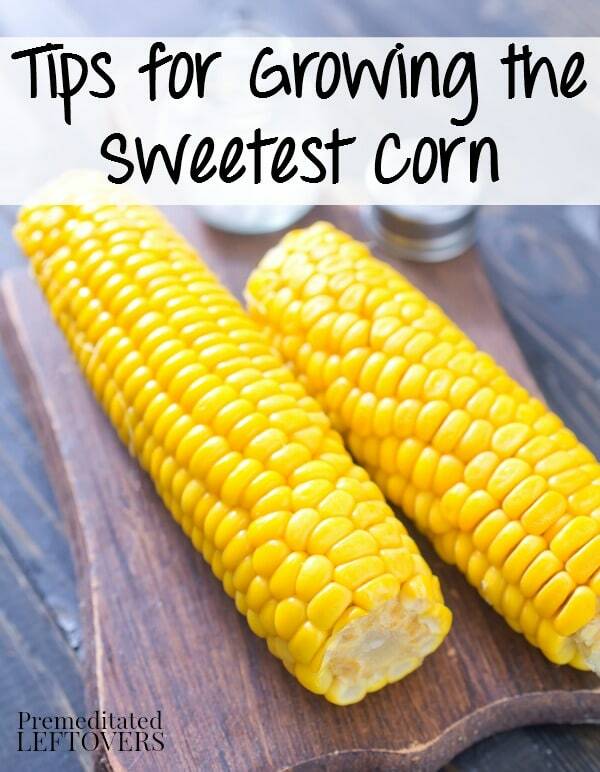 In no time you too will be picking your own corn, perfect for grilling, using in salads, salsas, and just about anything else you can think of. What if I started my corn indoors in the biodegrable posts and just transplanted those to outside garden after last frost? Update: I started my Candy Mountain Sweet Corn in a Jiffy pellet mini-greenhouse and sprouted the corn in damp paper towels before putting it in the Jiffy pellets. It has grown very well. I transplanted it out into my raised bed garden last week (April 28) and it’s doing great. The stalks are 8-10″ tall–they were 4-6″ tall when transplanted. I chose this variety because it’s quick maturing so should produce a crop before our blistering summer heat sets in (AZ). Also because I’m hoping I’ll get a harvest before the corn ear budworms arrive and mess up my ears like they’ve done in the past.